Welcome to Saints Joseph and Andrew Orthodox Church, located in the beautiful Blue Ridge Mountains of Western North Carolina. We are a parish of the American Carpatho-Russian Orthodox Diocese of the U.S.A. (Washington, D.C. Deanery), under the omophorion of His Eminence, the Most Reverend Metropolitan Gregory of Nyssa. 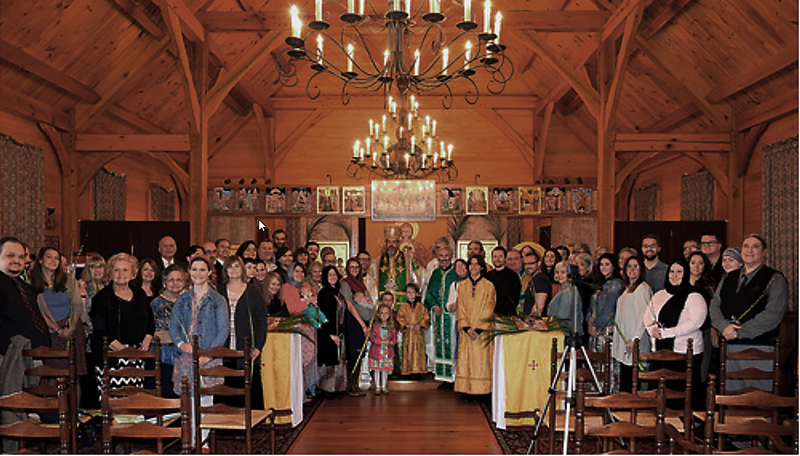 We are a Christ-centered and family-oriented community of both cradle Orthodox and American converts. Sunday Services: Hours 9:30 a.m. | Divine Liturgy 10:00 a.m.
For additional services, please consult our calendar. All of our services are conducted in English. We invite you to "Come & See!"